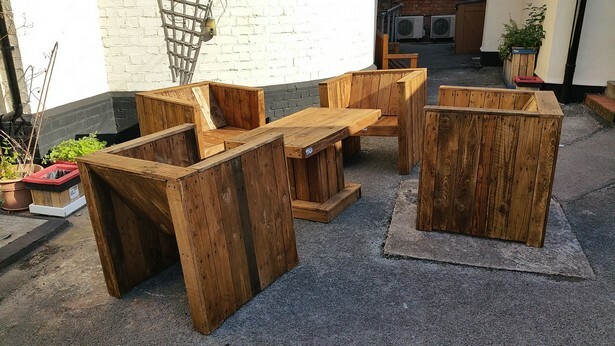 Honestly speaking some of my fellow wood pallet crafters usually complain that why do I focus so much on the patio seating plans and wooden pallet furniture items mostly for patio. I argue that people here in west are really nature loving kind of people. They like it to sit in open, spend some quality time there with family and cherish. People are just sick of tiny congested apartments so to take a little while in the open air, they prefer the patio as it also maintains privacy at the same time. These patio seating ideas are again going to be exceptionally exciting for you guys. Who on planet earth would not enjoy such an intoxicating atmosphere in his garden or patio? I think all agree to me. 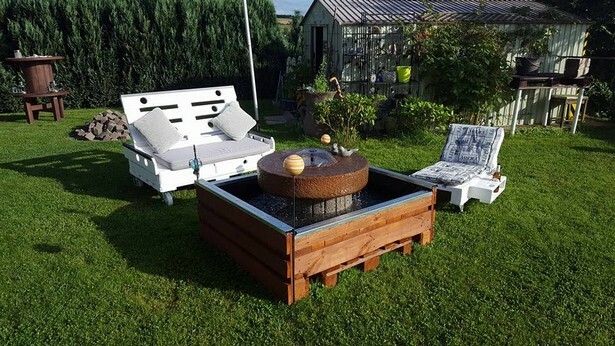 This whole wood pallet recycled furniture range along with the wooden pallet recycled fountain is just so classy that it can’t simply be ignored. 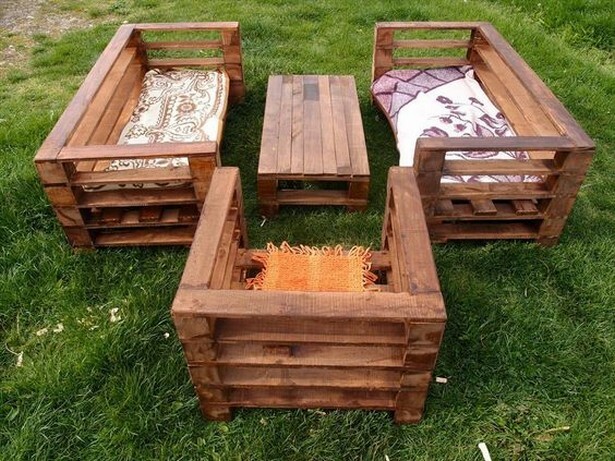 And this unique pallet wood furniture set up seems to be made for some recreational activities by the kids or other family members. This could be an ideal place for playing chess or some other indoor games. 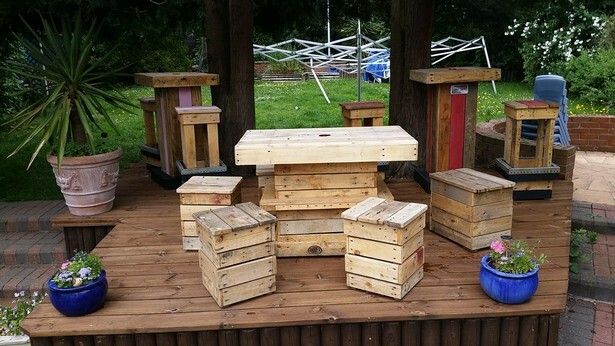 Pallet wood deck and the stools along with the table are the creation of wood pallet. This large infact extra large pallet wooden couch couldn’t make its place inside the house, so we thought that this must be considered to be placed in the patio as its size and luxurious shape was pretty according to the requirement. 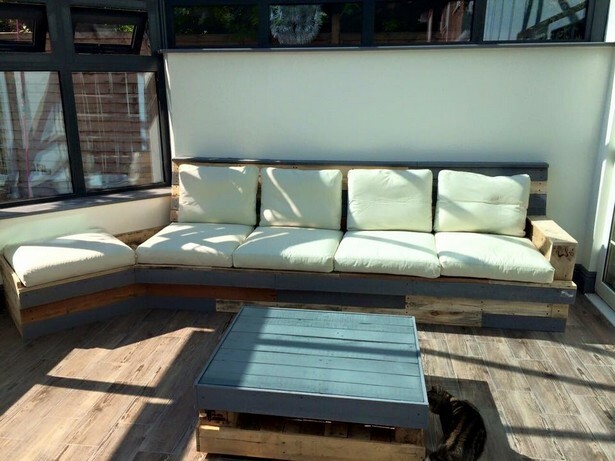 This vintage wood pallet was made initially for the indoor but later on we realized that this gigantic and spacious wooden pallet couch would fit ideally in the spacious patio. After a couple of sitting spells on this magnanimous pallet wood creation the decision seemed great. Faces and caricatures are quite appealing to the human nature as it comes directly from the nature. So sometimes we prefer seeing such realistic kind of faces instead of some generic art designs carved on the wood pallet. And this one is a great demonstration of this concept. 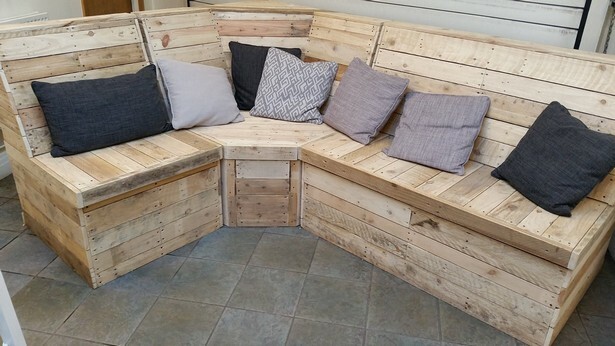 Huge arm rests and spacious seat make it an ideal pallet wood couch especially for the patio. This wooden pallet couch pattern is just so damn common in our daily practices. And despite of frequent repetitions our fellow wood pallet crafters still admire this one a lot as this is more stylish and appealing. 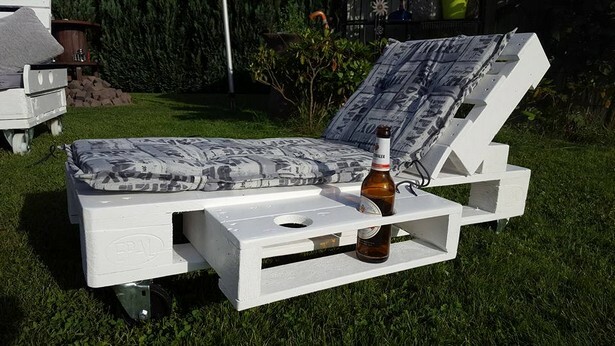 These wood pallet sun lounger were made for a loving couple who always buy things in pair. They always want to be together, and for such love birds, this kind of pallet wood repurposed creations are always admired and appreciated. A man from LA especially mailed me for bringing such pallet wood inspiration for the couple. 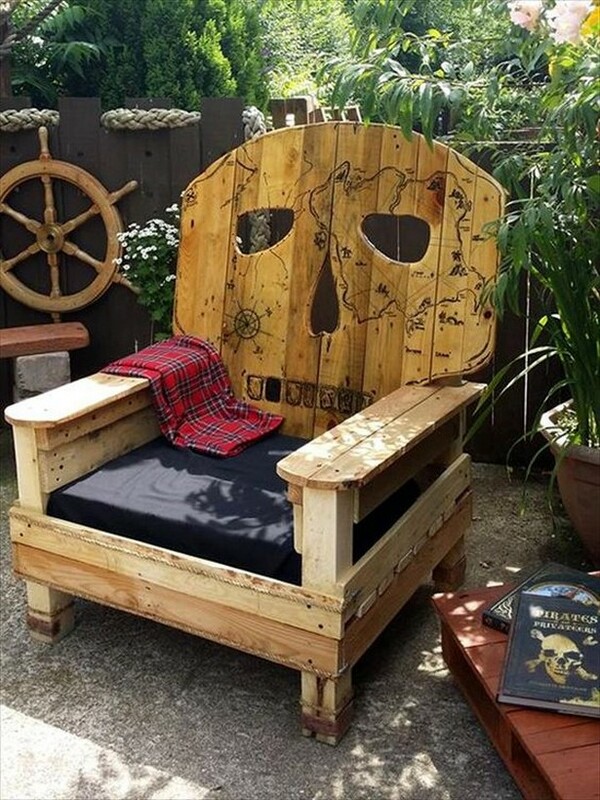 Now this one has gone a bit too far as it is provided with a decent space for the wine bottles inside the pallet wooden recycled sun lounger. This is exactly the benefit of wood pallet that I always talk about that in pallet wood recycling you make the things according to your needs and desires.